Investigate the buoyant force acting on a variety of objects and the density of the objects. - Archimedes’ principle states that a body wholly or partially submerged in a fluid is buoyed up by a force equal in magnitude to the weight of the fluid displaced by the body. 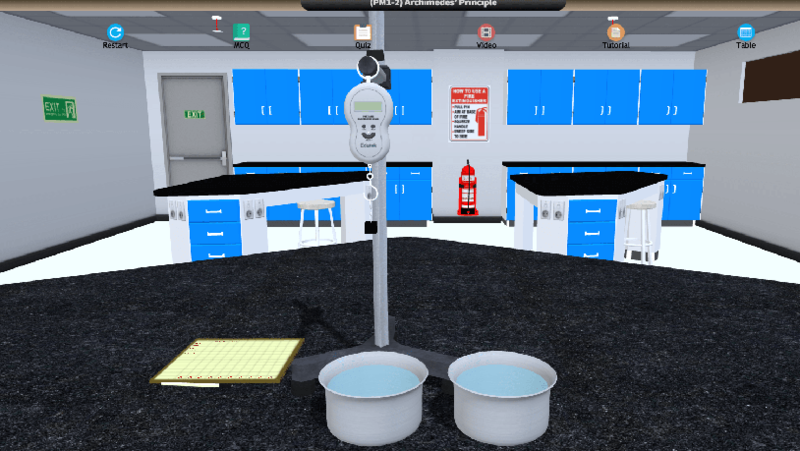 In this experiment we will determine the density of some objects and liquids by using Archimede’s principle. Determination of the density of some objects and liquids by using Archimede’s principle.